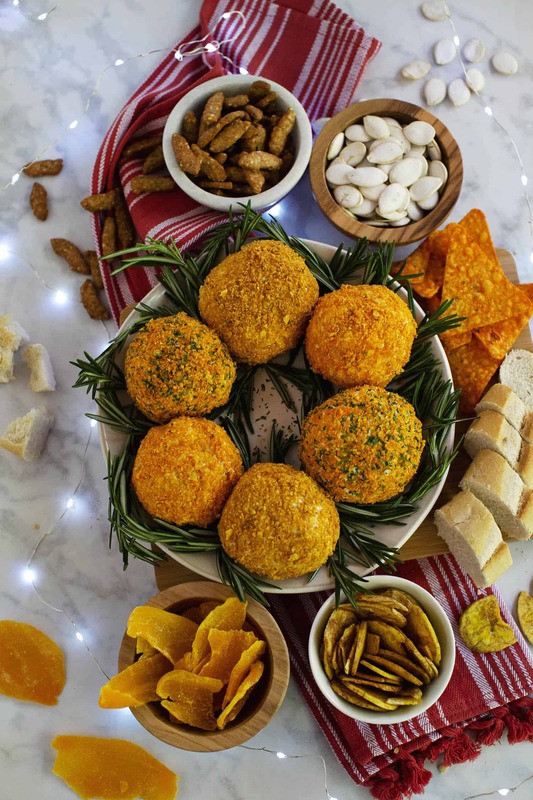 I love a cheeseball. 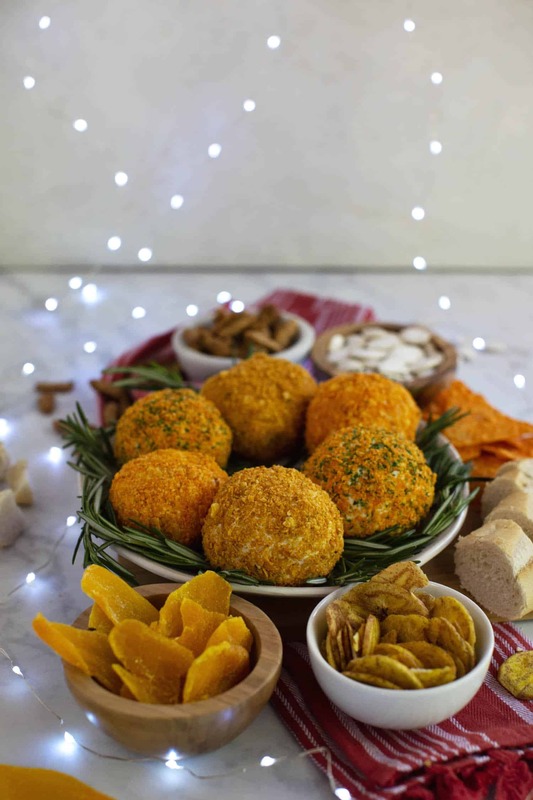 (Maybe this sentence should read, “I am a cheeseball.”) It’s basically a dressed up cheese plate, and it reminds me of everything good about parties at my great-aunt Ina’s house. 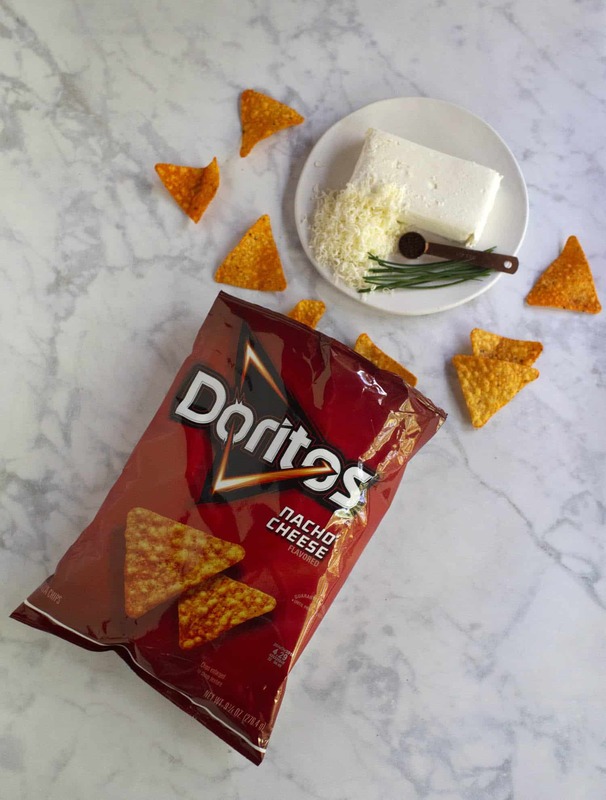 It’s just so classic and SO good.This post is sponsored by Frito-Lay. 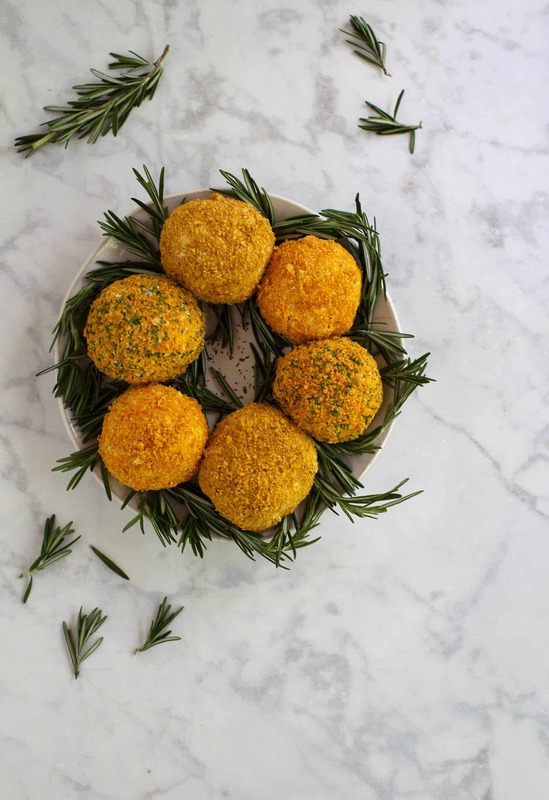 I used Dorito’s Nacho Cheese (and Taco flavor) for the coating on these super simple cheeseballs. I love the flavor and texture that this adds. Plus, aren’t they cute?! This appetizer looks way more elaborate than it is. Plus, this party appetizer sort of doubles as a craft/decor project, so it’s kind of the best thing ever IMHO. Ha. This is easy to make and super simple to dress up like a holiday wreath. 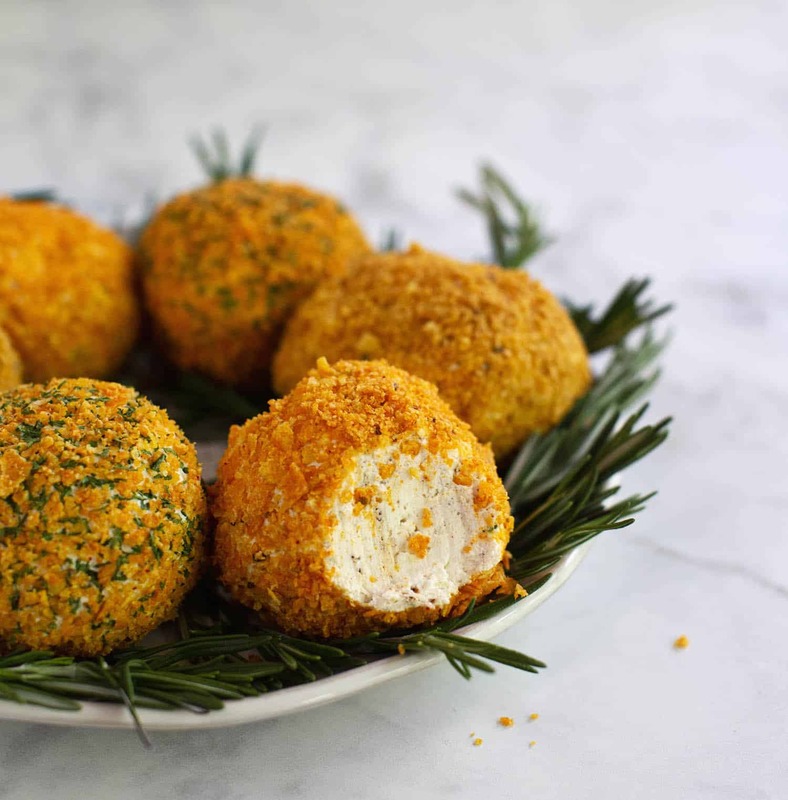 You should absolutely make this for your next holiday party. 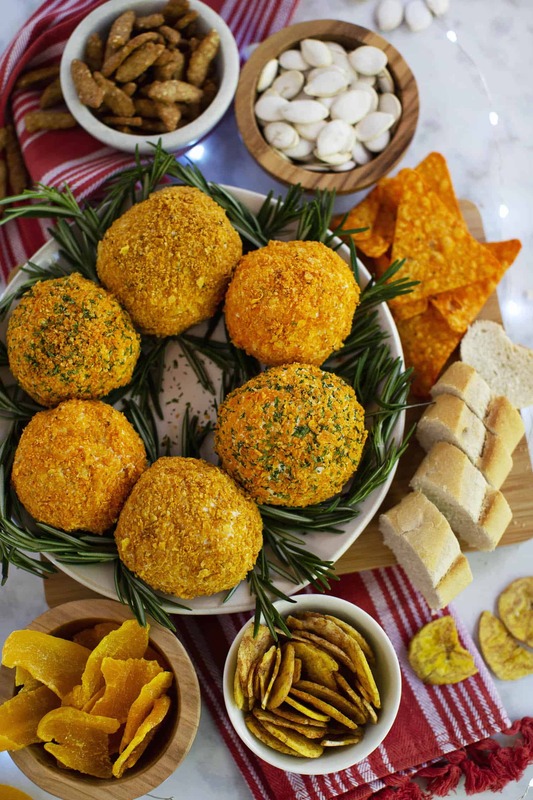 You can make the cheeseballs and chip coating ahead of time, and then just assemble (in like 5 minutes) before a party. 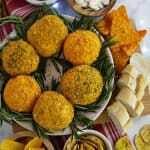 The recipe I share below will make about six small (think fist-size) cheeseballs that can easily be decorated into a wreath. 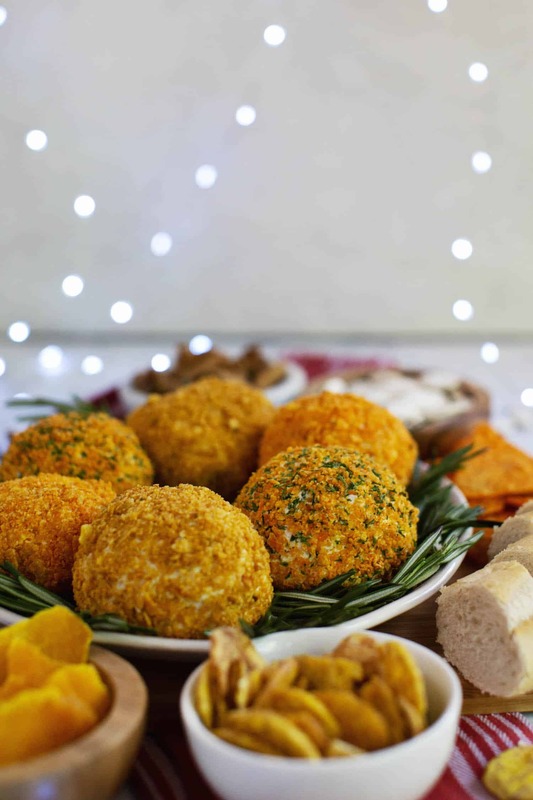 But, if you’re hosting a really large party or just want to have two in case you have two separate tables that you’re serving snacks on, you can easily double or triple this with hardly any extra work. And that’s because you simply mix all the cheeseball ingredients in a large mixing bowl (I used my stand mixer with the paddle attachment) and then form the cheeseballs. Easy! I used fresh rosemary to decorate my wreath because I think it looks the most like an evergreen tree, but you could easily use other herbs or even a few edible berries or flowers to change up the look of your wreath. Serve alongside with more chips like Stacy’s, Kettle Cooked or Tostitos, a baguette, pretzels, or any other snacks that dip well. Enjoy and happy hosting! xo. Emma. 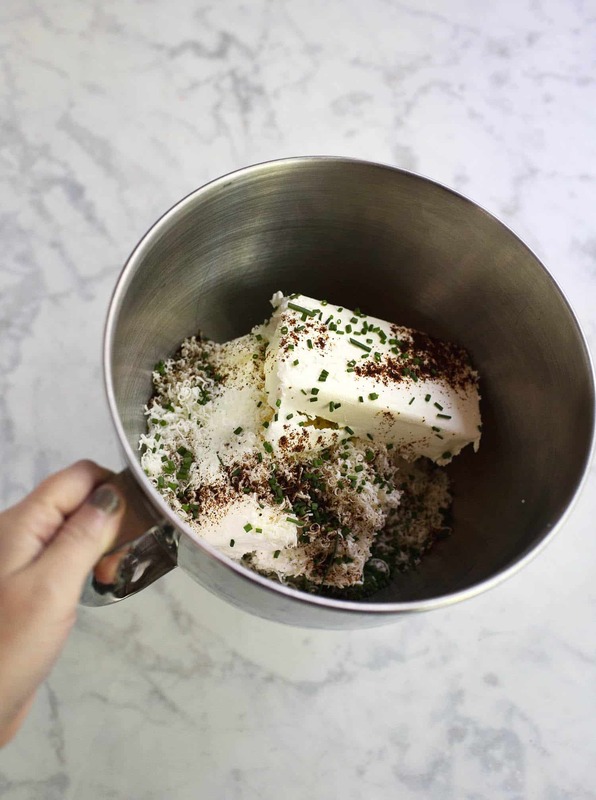 In a large mixing bowl or stand mixer, combine the cream cheese, chili, chives, and grated hard cheese. Mix well. Use your clean hands to form the mixture into balls and wrap in plastic wrap if you don’t plan to use these right-away. Store in the refrigerator. When you’re ready to serve, roll the ball in crushed chips. Arrange on a plate and decorate with rosemary or other fresh herbs. You can use a few different flavors of chips to create different color/texture coatings. You can also mix the crushed chips with dried parsley or other dried herbs to add some green color if desired.